We've moved to a new location! 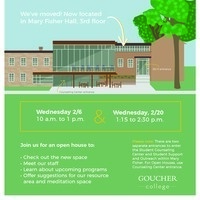 Come see our space, meet our staff, and take away healthy tips in a "Passport to Emotional Wellness." We're looking for input on features you'd like us to consider in our new space. Leave us a comment and be entered in a raffle for a $25 Amazon gift card.